Firstly, thank you for taking the time to review Eva's case. The fact that you are here shows kindness and I appreciate that. 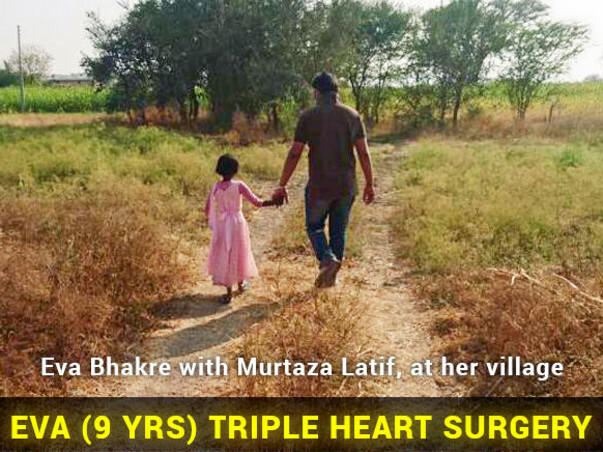 Eva (9 years old) is the daughter of Ravindra Bhakre, a driver from a village in Ahmednagar. Due to their poor financial condition Eva's father drives a car for Eva's grandmother (mother's side) but they work him like a mule and pay him a mere INR Rs. 6,000/- per month. They also stay in a small room in Eva's grandmother's house (which is small in itself). Eva's mother even though educated (BSC) cannot work due to Eva's condition so helps in the grandmother's fields. Eva used to go to school and was a straight 'A' student until she had a paralysis episode at the school and they removed her. She hasn't been accepted in any school since due to multiple paralysis episodes. Who am I? And why am I helping Eva? My name is AliAsghar Maqbool and Eva is my maid of 11 years' niece. I am helping Eva because I have personally seen this child being full of life, yet as much as it pains me to say this she looks like a living corpse (Eva's nails are blue much like when a person is deceased, her lips are black and her eyes bloodshot red, all due to her heart). I have seen Eva play with the nurses and staff at the hospital but within 10 minutes of activity go down because her heart cannot keep up. However the point that drove me to take up Eva's case was when this 9 year old once told me in a discussion that she wishes she can die soon as she sees what kind of a burden she has become on her parents. 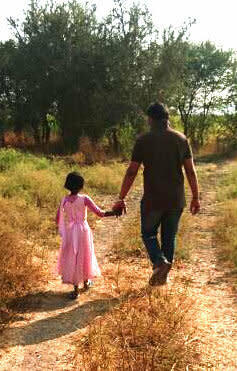 I have even see her helplessly watch on as her elder sister comes from school and talks about her school activities. Through relentless support from my family and a client/good friend Dr. Gautam K. Sharan (Head of Radiation Oncology at the Inlaks Budhrani Hospital) we have come this far to hopefully get her operated soon. I also believe that bad begets bad and good begets good, so I hope this good deed from all of us will lead Eva to do a lot of good for others in the life we try to give back to her. Eva was born with a hole in her heart. She is also missing a pulmonary artery that goes to the heart. Her body fills up with bad blood and every 2 weeks she is rushed to the hospital for dialysis. She also experiences paralysis episodes. The only medication she is on are blood thinners. 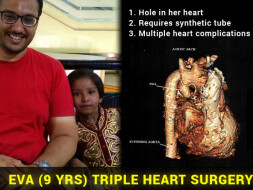 However after the surgeon and the child cardiologist saw her CT Scans they found that she also requires biventricular repair. 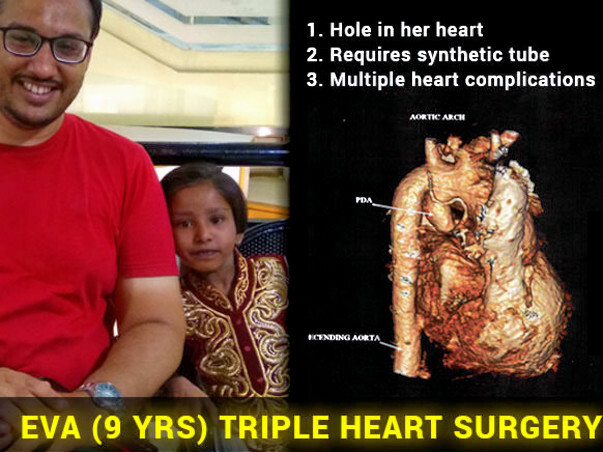 A total of 3 open heart operations are required. The operations are life saving and required on a highly critical basis. 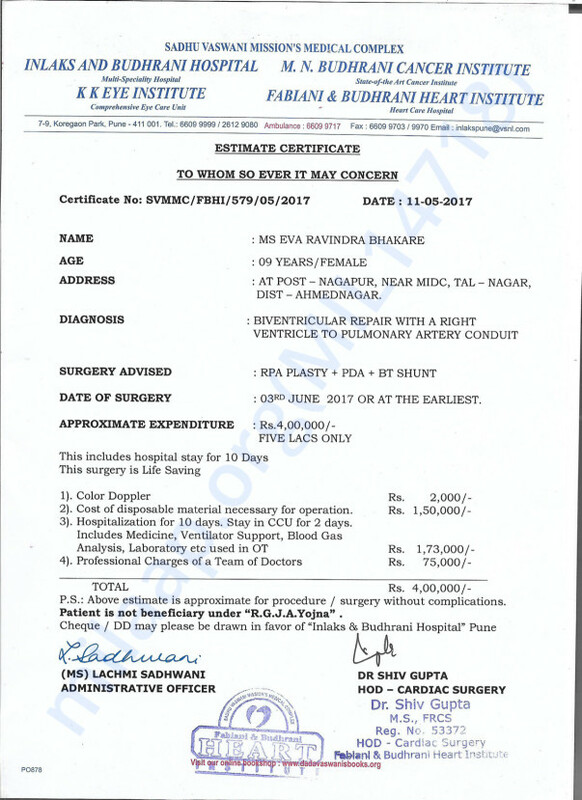 The hospital (backed by the Sadhu Vaswani Trust) and the surgeon (Dr. Shiv Gupta) have generously reduced the costs from INR Rs. 6.8 lacs to INR Rs. 4 lacs. Our effort is to raise the funds and start the operations from the 04th of June 2017. I hope to receive your kind support for Eva and we will remember you in our prayers for a lifetime. For any queries you may contact me at +91-9657869822 / +91-8149117828. The hospital may be contacted at +91-020-6609-9999. Thank you for all the wonderful support. Eva is admitted, procedures have begun. Proceeding with the operations this coming week (from the 12th of June 2017). Lets Pray for her speedy recovery. Eva has been admitted and the surgeon will be giving us the dates for the operations by tomorrow latest. The funds need to be used to pay for the second and third operations as we haven't raised the full amount yet. The hospital is assisting by covering the first operation for now (they will have to be reimbursed later). But we have to give the amounts for the second and third ones. Thank you for the support and please do share this further in your circles. Hello, everyone! I wish to thank Miqaeel (and Azeem and Samina), Munira (and Masi Nema, Junaid and Aziz), the two kind-hearted anonymous donors, Chitra and Farheen for their kind donations. I cannot express it enough, THANK YOU! You guys are in our prayers forever and I pray to God that he recognises your gesture tenfold! Thank you. Wish you and your family all the very best, Ali.